How does high-beam assist work? Do I need automatically dipping lights? High-beam assist recognises oncoming vehicles at night, switching headlights between main and dipped beam automatically. It's a very clever bit of kit and is claimed to make nocturnal driving less stressful. A sensor usually mounted on the rear-view mirror detects headlights and rear lights of other vehicles ahead. If the road in front is clear, high-beam headlights are activated, automatically dipping when another vehicle comes into sight. All without your fingers leaving the steering wheel. 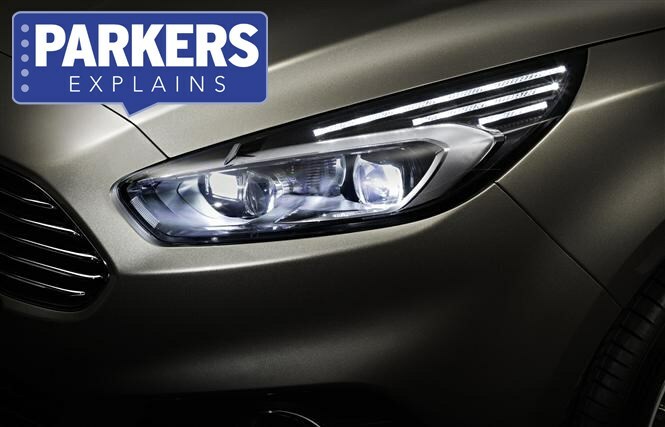 If you frequently drive down poorly lit country roads at nighttime, then it could be a valuable piece of kit, removing the need to manually activate and deactivate full beam. Drive mostly in the day, on motorways or in town and it may become less relevant. A range of cars including the Seat Leon, Volkswagen Passat and Ford Mondeo.